Ford is now the Official Truck of the NFL. NEW YORK, Sept. 7, 2016 – America’s toughest trucks are celebrating football’s toughest players. Ford and the National Football League are teaming up on a three-year partnership establishing Ford trucks as Official Truck of the NFL. 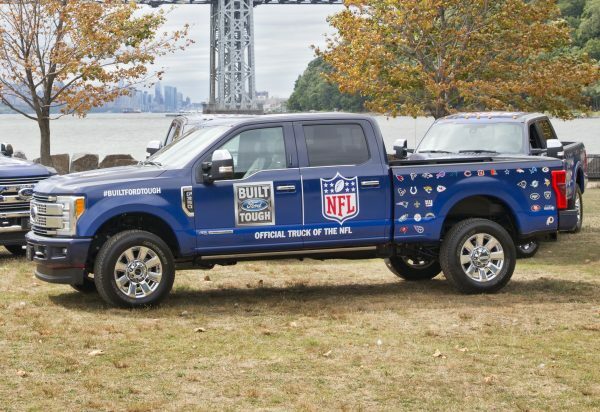 Ford kicks off its partnership as Official Truck of the NFL today in New York providing fans the opportunity to order Built Ford Tough Tailgate Trucks On Demand through Uber, delivering tough tailgate food, game tickets, and merchandise by the all-new Ford F-Series Super Duty. Additionally, Ford is bringing a Built Ford Tough Tailgate Tour for fans to NFL games around the country. These experiences will give consumers access to their own Built Ford Tough Tailgates on Demand on game day, as well as hard-to-get game tickets. 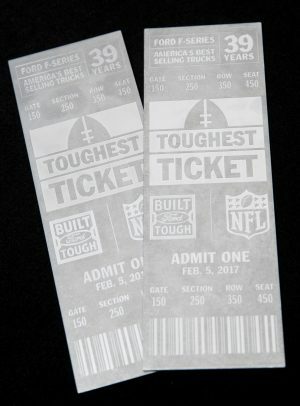 NFL fans also can enter the Built Ford Tough Toughest Ticket sweepstakes for a chance to win a pair of tickets to Super Bowl LI, plus an all-new 2017 Ford F-Series Super Duty customized to showcase their favorite NFL team. Just like Built Ford Tough F-Series trucks, NFL offensive linemen are some of the toughest, smartest, most capable players in the league. Former NFL offensive lineman, NFL Network and NFL.com analyst Shaun O’Hara will leverage statistical analysis, positional expertise, and knowledge of assignments to determine the offensive line of the week based on their performance in the previous week’s games. Both Ford and the NFL are excited to see the contributions of these unsung heroes acknowledged. At the conclusion of the season, one line will be recognized as Built Ford Tough Offensive Line of the Year at the annual NFL honors awards presentation. Offensive Line of the Week will be announced every Tuesday afternoon on NFL.com/Ford.